1.Our key prophecy will be the first two secrets of Fatima, and we will see that the chastisement and period of peace made known in the Fatima prophecy coincide with the broad spectrum of Catholic prophecy at large. “We are now standing in the face of the greatest historical confrontation humanity has gone through. I do not think that wide circles of American society or wide circles of the Christian community realize this fully. We are now facing the final confrontation between the Church and the anti-Church, of the Gospel versus the anti-Gospel. “I regard it as certain that there will be two different stages. The first stage will only be the beginning of sorrows [see Matt. 24:8], and it will be shortened for the sake of the elect, and the Gospel will then be preached throughout the world. This will be the period of peace under the Great Monarch, the period of conversion and general prosperity which we and our children may enjoy – in short, the period of peace promised by Our Lady of Fatima” (p.91). A. “Before the Gospel is preached and accepted in all the world, there shall come world wars and insidious doctrines accompanied by widespread persecution. 6. A seminal and very long book on Catholic prophecy published in 1996, Trial, Tribulation and Triumph, by Desmond A. Birch, generally agrees that there will be a minor chastisement (meaning not the final chastisement at the end of the world), a period of peace, a major chastisement (Antichrist), and then the Second Coming of Jesus Christ. As to the minor chastisement, which will be followed by a period of peace, these are the first three elements in his long chronology of how it will come about:(1) “At some point in the future, the corrupt faithless age we live in now will come to an end either through inner conversion of sufficient number of people who turn to prayer, sacrifice, and penance,—or there will be a chastisement. This would be a Minor Chastisement preceding the Age of Peace. St Louis de Montfort described this Age of Peace as the Age of Mary. (2) If this chastisement is not averted through conversion, the Latin Church will be afflicted by heresy and schism. (3) The chastising elements will come in two forms, (a) manmade and (b)Heaven-sent” (page 553). Following his description of this minor chastisement, Birch goes on to describe the period of peace which will result, and then the rise of Antichrist and the end of the world. 7. A key insight of Birch is that the minor chastisement prophesied at Fatima (if not averted by prayer and penance) will come by way of heresy and schism entering the Church. 10. Pope Benedict XVI suddenly resigned as Pope on February 28, 2013, the first Pope to resign since Pope Gregory XII in 1415. 11. On March 13, 2013 Jorge Mario Bergoglio was elected Pope, becoming the 266th Pope, and the first Jesuit Pope. He took the papal name Francis. Apparently with the help of certain Cardinals, Pope Francis then embarked on an intense campaign to essentially change Catholic doctrine regarding the absolute impermissibility of divorced and civilly remarried Catholics to receive the Holy Eucharist, a move which, in the opinion of some high-ranking clergy, could ultimately open up reception of the Holy Eucharist to people in other types of “irregular unions” (all of which would serve to ultimately undermine Catholic teaching regarding mortal sin because reception of the Eucharist is the summit of the Catholic life). When Pope Francis failed to obtain consensus at the Synod on the Family for the change he so earnestly desired, he nevertheless pushed his communion exception through in his Apostolic Exhortation, Amoris Laetitia, cleverly placing the key language for such an exception in the back of the document in the now infamous footnote 351. 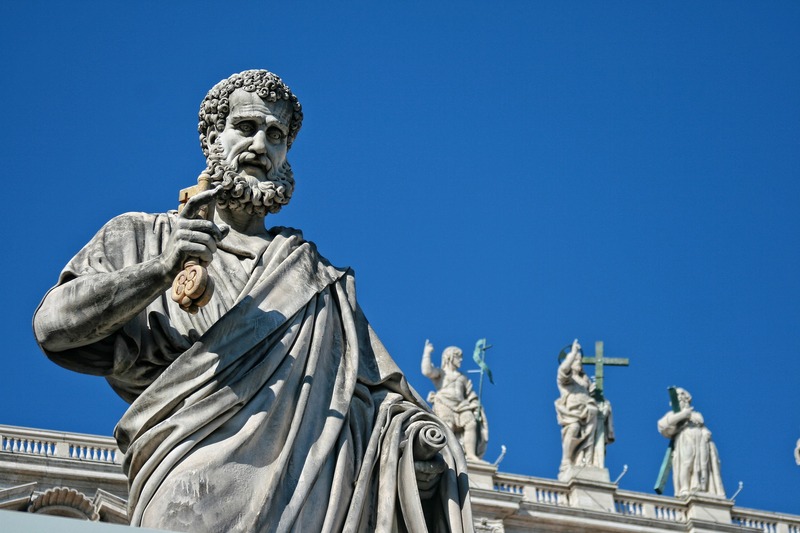 Although there has been a de facto schism in the Catholic Church for quite some time, Pope Francis’ bold move marked the first time a challenge to authentic Catholic teaching was undertaken at the highest level of the Church. There is now a great battle going on in the Church over Amoris Laetitia, and Pope Francis seems intent on bringing a new type of Catholic morality into existence, slowly, so as not to upset the faithful all at once (in general, this new morality – in its fullest development – would grant those in “irregular” situations access to the Eucharist, which is an interpretation which has been proposed by some, and even Pope Francis mentioned that cohabiting couples may be in a “real marriage”). This is my sense, after careful evaluation, of where Amoris Laetitia is taking the Church; I am open to being shown where I may be wrong. My concern here is to protect the integrity of doctrine as passed on to the Church from Jesus and the apostles. 13. It is not my job to suggest whether a particular teaching constitutes material or formal heresy. Rather, I feel called to point out that Amoris Laetitia is profoundly at odds with Saint John Paul II’s great encyclical on moral theology, Veritatis Splendor, and that the ultimate trajectory of Amoris Laetitia would lead to a dramatic reformulation of Catholic morality, allowing those in so-called “irregular unions” access to the fullness of the faith which the Eucharist is (thus essentially creating an end-run around the infallible doctrine of the Church that those in mortal sin are prohibited from receiving the Eucharist). In the end, then, the whole system of Catholic morality would be rendered optional. 14. “In the end my Immaculate Heart will triumph.” Pray the Rosary every day as Mary entreated us at Fatima. Pray for the Church. Micah is not a book in the Bible that gets a lot of attention. Yet, there is in Micah an awesome prophecy about the birthplace of the Messiah. Let me add that the prophet Micah lived some seven hundred years plus before Jesus Christ. In commenting on this passage from Micah, Walter C. Kaiser, Jr., a distinguished Old Testament scholar, states: “The Messiah is the great Ruler who will come one day. According to his human heritage, he will descend from the family of David who lived in Bethlehem and will be born in that same town, even though he has a divine line of descent that takes him clear back to eternity. He will be both human and divine. What a mystery!” (The Messiah in the Old Testament, p. 154). A dispute among Bible scholars is whether the Hebrew word “olam” in Micah 5:2 refers to an ancient time in temporal history or to an everlasting time in eternity. Clearly, Walter Kaiser, Jr. sides with the interpretation that points towards eternity. But from a Christian perspective the dispute is somewhat moot because we know that Jesus (as both man and God) descended from the ancient line of David, and also from his eternal generation as the Word of God. In either case, at a minimum, the prophet Micah correctly foretold the birthplace of Jesus in Bethlehem and his descent from the ancient line of David. Under either scenario Micah’s prophecy of the Messiah to be born in Bethlehem is quite remarkable! Moreover, Micah 5:4 demonstrates that with the fulfillment of the prophecy the Messiah’s dominion and greatness shall extend “to the ends of the earth,” a prediction of the greatness of the Messiah (see Pulpit Commentary). ISAIAH’S PROPHECY OF A DIVINE CHILD AND KING CAME TRUE! CONCLUSION: Jesus, true God and true man, is the only possible fulfillment of Isaiah’s magnificent prophecy of a child and king who shall be called Wonderful Counselor, Mighty God, Everlasting Father and Prince of Peace. The child born of the holy Virgin is to be called Emmanuel, “God is with us” (see Is. 7:14; Matthew 1:23). He is “the way, the truth and the life” (John 14:6), and a light of revelation to all the nations (see Luke 2:32). 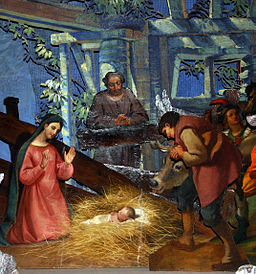 Source: For a fuller explanation of the fulfillment of this prophecy, see Christ in Prophecy by Dr. Paul Heinisch (The Liturgical Press), wherein he also explains the prophecy’s relevance “to the age and circumstances in which it was composed,” although its perfect fulfillment can only be in the Messiah (see, for example, Matthew 4: 12-17). 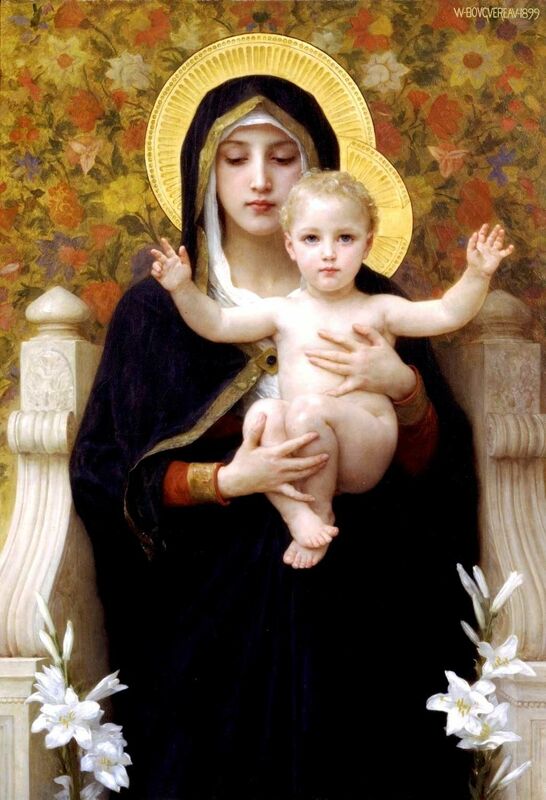 Image: The Virgin of the Lilies by William-Adolphe Bouguereau, 1899, Public Domain, U.S.A. (at Wikipedia). Set forth below are three important prophecies by three modern saints who were all born in Poland. The first prophecy is by Saint Pope John Paul II, and was made during a visit to the United States in 1976 when he was still a Cardinal. The second prophecy is by Saint Maximilian Kolbe, the Franciscan priest who died in a starvation bunker in Auschwitz during World War II, having volunteered to take the place of a married man. The third prophecy is from Saint Faustina Kowalska, the nun whose “Diary” has promoted greater devotion to God’s Divine Mercy. She died in 1938 and was canonized in 2000. Comment: We should be increasingly aware that there are strong forces in our society under the domain of Satan. One sign of this is the massive apostasy we are witnessing. In Luke’s Gospel (Chapter 19) we see that Jesus wept over Jerusalem and prophesied its coming destruction, which occurred in A.D. 70. Jerusalem was not as blessed as nations who have received the Gospel. The greatest immediate threat in all of this is our children and young adults, who are losing their precious faith in massive numbers. Chastisement comes quickly from the dissolution of morality consequent to the loss of faith: suddenly you find yourself living in a society sinking from the weight of its own immorality (this situation is described by Saint Paul at Romans 1: 24-32 ). The wisdom of the three saints mentioned in this note is unanimous that consecration to Mary is of immense value in remaining faithful to our baptismal consecration to Jesus. Pope Francis had his papacy consecrated to Our Lady of Fatima by Cardinal Jose Polycarp of Lisbon, Portugal; the apparitions of the Blessed Virgin Mary at Fatima have a profound prophetic dimension for our times and the trials the Church will have to endure. Perhaps this is a good time to review the great historical and “supernatural facts” of Fatima. 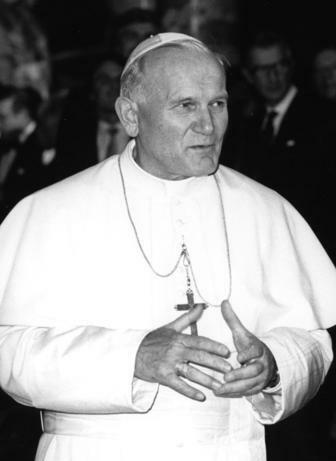 Photo Attribution: The photograph of Pope John Paul II by Lothar Schaack, Nov. 15, 1980, under the Creative Commons Attribution-Share Alike 3.0 Germany license. Attribution: Bundesarchiv, B 145 Bild-F059404-0019 / Schaack, Lothar / CC-BY-SA. The other two photos, Public Domain, U.S.A.
Sources: For the prophecy by Saint John Paul II, a June 1, 2014 article by Father C. John McCloskey entitled The Final Confrontation. The prophecy of Saint Maximilian Kolbe can be found at the EWTN website. Church teaching: see CCC 668-679. Also, Ralph Martin has written a pamphlet, also called The FinalConfrontation, which elaborates on the subject matter of this note (available at renewalministries.net). Father Garrigou-LaGrange once wrote about “great supernatural facts” that worldly people tend to dismiss.